We're going down the highway for our holiday. I don't know where we'll end up, but Mum reckons that doesn't matter. 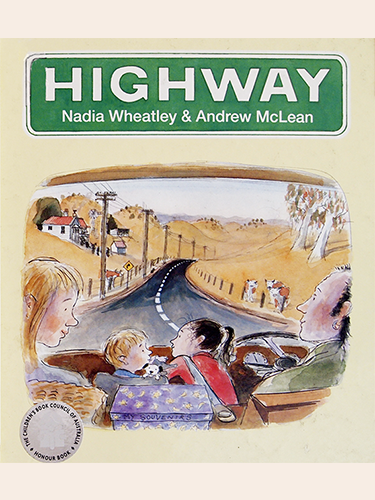 Seen through the eyes of an eight-year-old girl, a delivery-trip in Dad's truck becomes a fun-filled holiday as well as an epic journey. As the landscape changes from the suburbs to the the open countryside and on to a city, we share in the joyful discoveries of this loving and hard-working family.